Someone, anyone, help me to stop buying stuff I don't need! But then again, I do need everything, for the blog and all... There's a common misconception that when you start a blog, you get sent free stuff and never have to buy products again. That couldn't be further from the truth if you know me! And since filming this video, I picked up more products that I've snapped about and will show you on Instagram. See, I'm a beauty addict and no matter how much I'm sent, I still want to buy and try everything that's out there. Like absolutely everything. So I'm going to probably need to change the name of the blog to This is why I'm broke! I wanted to film a haul video showing you things I picked up in Manchester at the end of January, in Boots and TK Maxx in February and when I tell you that I need to go back on The Ultimate Spending Ban, that would be an understatement! Have a look at the products that I didn't need but totally needed to buy recently and hopefully the next haul video will be months and months away! 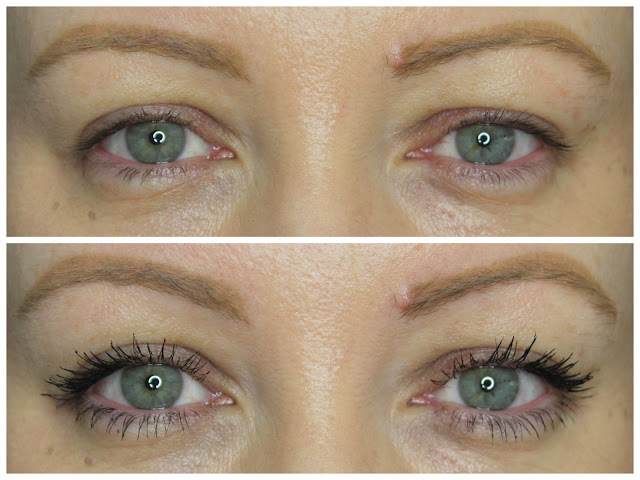 No7 Velvet Lash Mascara review, before & after photos! In an attempt to expand my mascara horizons and use something new (those who follow me on Snapchat and pretty much everywhere will know what mascara I rave about all the time to anyone who'll listen), I decided to try out the new No7 Velvet Lash mascara and report back with my findings. This mascara promises volume, length and definition and has one of the bristle brushes for those who like a bit of old school when it comes to their wands. I'm an equal opportunist when it comes to wands (ahem) and will not discriminate based on length, girth or any size differences at all at all. Listen, you didn't think I was going to let you away with any kind of rude wand innuendo now did you?! I can waffle on to you about what it's supposed to do, but it's the before and after photos that will do the talking. If you're after wispy, fluttery lashes that hold a decent curl to help you look more awake, then this might be the one for you. The formula is perfect for keeping clumps at bay and the brush combs through lashes easily, giving your eyeballs a bit of life. I'm trying out a few new mascaras at the moment and this is the one I keep going back to. 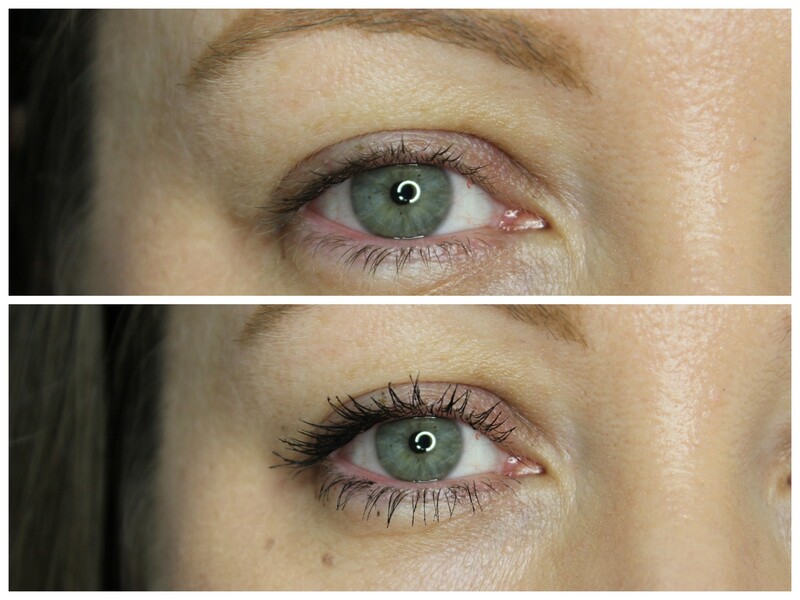 The formula allows me to apply a second coat to the top lashes without any difficulty and this is always important for me because I'm in the whole more is more camp when it comes to lashes and mascara as you probably already know. Why stop at one coat when you can stop at two?! 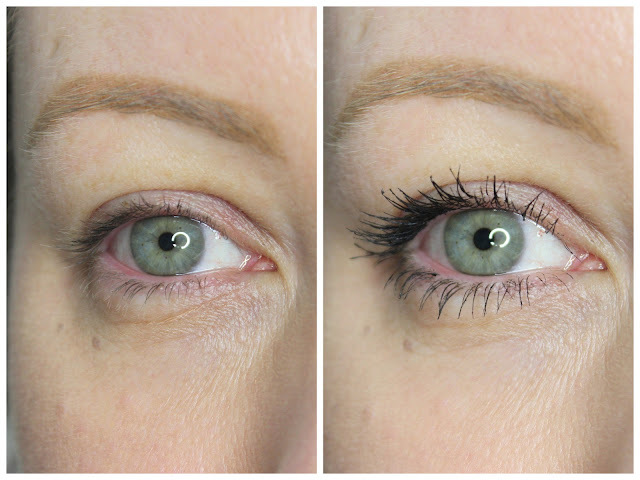 And despite adding two coats as you can see in the photos below, the formula still keeps the curl for the day and doesn't weigh my lashes down. It stays put all day, doesn't clump or flake on me and when I forget I'm wearing mascara and rub my eyes, it doesn't sting the eyes off of me. It happens more often that you'd expect, so this is a definite plus in my book. Ah look at my little scaldy eyeballs below with nary a lash to be seen. A quick coat of my Velvet Lash and I'm good to go, and for my photos below, I added the second coat to the outer half of the top lashes. That's my favourite thing to do with mascara in an attempt to elongate my beady eyes. The No7 Velvet Lash mascara is available now for €18.50 and if you're looking for something to try out and spend your No7 vouchers on, this is definitely worth checking out! 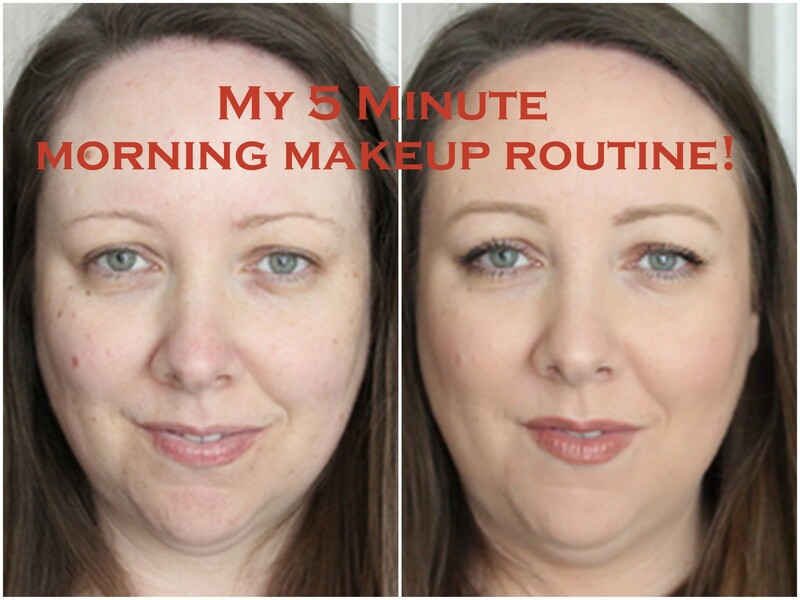 My 5 minute makeup routine for when I'm in a rush! If you follow me on Snapchat, you'll know that I'm perpetually in a rush first thing in the morning. Like always. So I've become a dab hand at lashing on the makeup to make me look like a human person, in the quickest time possible. Those mornings when I'm running a bit late means I don't mess about and use products that I'm testing out. I've learned that the hard way. No, I use things I know will work for me, will make life easy and that I can rely on. This is the minimum effort I make every day. If I've an extra couple of minutes, then some eyeshadow shall be used. Concealer is considered a grand luxury for me so I rarely apply it during the week, opting to add another layer of foundation in areas that I need more coverage. This is simple (like myself), effective and more importantly, stays put all day. Not bad for a slap dash application every morning eh! Maybelline Baby Lips Balm & Blush photos, swatches, review! It doesn't matter how many products that I buy or get sent, cute packaging will get me every time! Following on from their Baby Lips and Baby Skin, Maybelline have launched their Baby Lips Balm and Blush and I can't cope with the dinginess! Lookit! There are four shades available and I'll give you one guess as to which one made me go "Ooh!" And fans of the EOS lip balms will enjoy the product being all dome shaped. These guys have quite a slippy texture making them more of a lip product than a cheek product for me. I found that when I applied them over my base, they moved my foundation and left my cheeks feeling a bit wet for my liking. Add a bit of a breeze into the equation and I'd be swanning around the place looking like Chewbacca. I prefer cream blushes that set as powders for day to day wear, but in saying that, if I was away on holidays somewhere hot, I'd definitely use them as I tend not to wear foundations during the day when I'm sweating. I can be Spanish Chewbacca, be grand like! But as lip balms, they give a lovely light wash of colour. I've really pigmented lips so the darker shade and the coral one shows up the most. They remind me of my fancy lip balms from back in the day before I went all grown up and boring with my tubes of the stuff. They're lightly scented and each of the four are nice and wearable, so if this sounds like it'd be up your street, then happy days! They're available now, cost €7.49 and if you're looking for a tinted lip balm with packaging that'll make it a bit easier to fish out of the bottom of your bag, then check them out on Maybelline stands now. They totally need to make some matte ones because I'd be all over that for lips and cheeks! 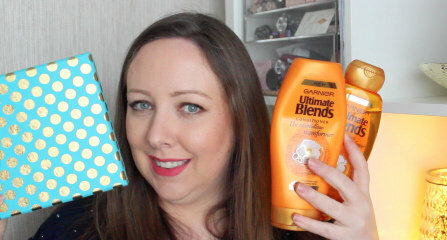 I haven't done a monthly favourites blog post in ages because I usually do videos on what products I'm loving. I didn't have much mojo in January to chat to the camera but still wanted to let you know what products I loved last month because there are some absolute corkers that you need to know about. Regular monthly favourites videos shall resume at the end of February as I'm amassing some new gems already! Let's get stuck in shall we? Some of the products mentioned have already been reviewed here on the blog so I'll link them for you for easy access because if I was to review each thing on it's own, we'd be here for the day and ain't nobody got time for that. I bought this when the blushes first launched back in 2014 and as is a common occurrence, because I try out so many products all the time, I let this fall by the wayside. Well lads, reunited and it feels so good! If you know me at all, you'll know I love all peach and coral blushes. They work with my skin tone, my eye colour and can transform me from bleh to wow in seconds. I've a full review on this and it's reignited my intrigue to try more shades from the range, but if you want a blush that gives colour and radiance, stays put all day, and at €21, it's amazing value. I have Melon Pop and Ginger Pop on the list now to swatch, so let's see if I can limit myself to just the one! There is no coping with how much I'm obsessed with this base and I'm having to stop myself from using it as I try out new foundations at the moment. It has a light to medium coverage, gives me mad radiance without looking wet faced and basically makes it look like I have naturally lovely skin. You can check out the before and after photos in my review, but it's safe to say I'll happily buy another one when this one runs out! This is Orla from Makeup Over Mind's fault. Back at the end of November last year, I took it upon myself to make a sneaky Black Friday Sephora order and like the ultimate weirdo I am, had to go back over months of Instagram photos to find the shade she'd mentioned! This wasn't even on my wish list at all, it had just hit me when browsing the site for things to make it worth my while to make the actual order. Understudy is divine, pure and simple. We're talking a light peach shade with a glossy finish, that feels really comfortable to wear and one I don't need a mirror to reapply with. The packaging makes it easy to fish out of my bag from the sea of black tubes and it's magnetic closing is very satisfying altogether. I want more of these and now that Marc Jacobs is available from Harrods, it might make purchasing more a bit easier. Me using this powder is purely because of Snapchat! Someone asked me if I'd any recommendations for an affordable version of MAC's Mineralise Skinfinish Natural and I realised that I've been switching between three high end powders for the past year or so. While I'm not sure if this is a dupe for the Skinfinish because it's been a good three or more years since I've used the MAC powder (so I should probably pick one up for the craic), I can tell you that this is my current favourite powder that you can get in chemists. It gives my skin a really soft focused radiance while setting my BB cream perfectly, lasts all day and since pairing it with my Clarins BB Cream above, I've had so many lovely comments on my skin both online and in real life! Products like these are right up my street. I love an aul peachy gloss pencil, quelle surprise, and the Ellie Goulding collection from MAC is absolutely gorgeous. 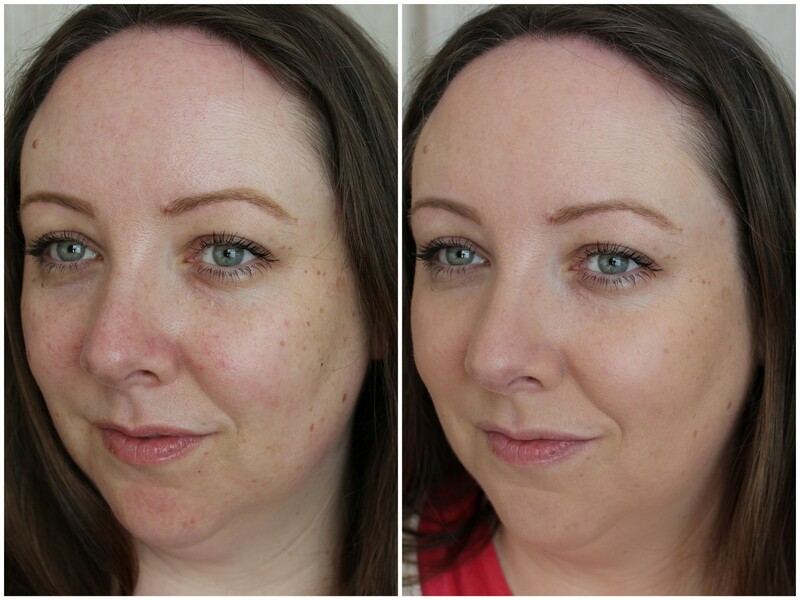 I blogged about three products that I got sent and really all three should have been in my favourites post because they're fabulous. This gloss is the perfect on the go product that I can lash on when I'm running out the door. I've swatches in the review so head over to read it and move fast because this collection will be gone soon! This palette makes me so happy it's not even funny. I've done a full blog post on it and have a video planned too because it's one of the best neutral eyeshadow palettes I've ever used and have gotten so much wear out of it already. There's a lovely mix of shades, all matte except for one which I sometimes use as a highlight and each shade is soft, buttery, blendable and incredibly pigmented. 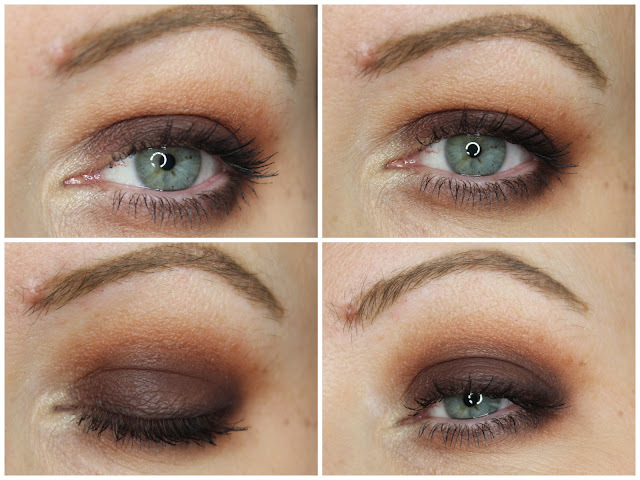 I've a blog post showing two of the many looks you can create out of the palette and while it's still out of stock, it's definitely worth putting your name on the waiting list if you're a fan of warm neutral eyeshadow palettes! 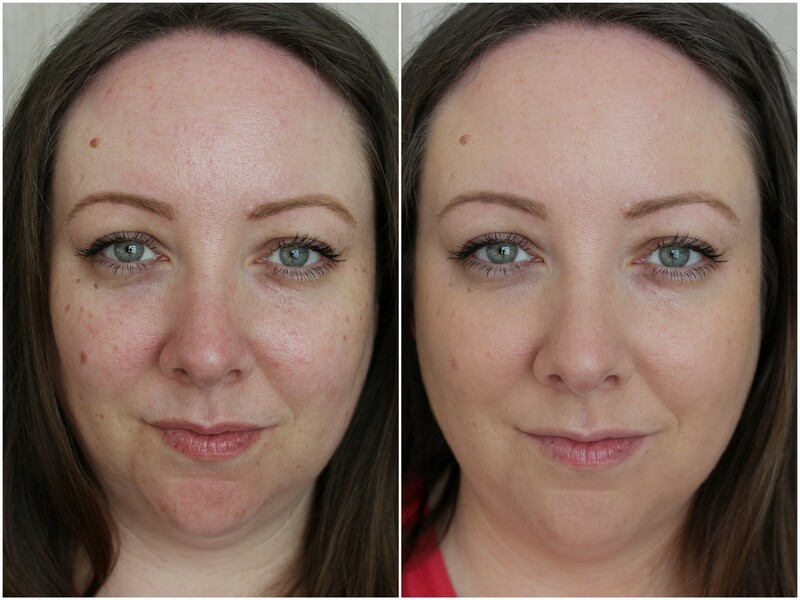 I am a serum junkie and feel that when you get a good one, magical things can happen. Quite often, though, serums that actually work and do something for your skin can be very spendy. Not so with this beaut. Lads, I've never used a serum like this where after the first use, I knew I was on to a good thing. With glycerine as it's main ingredient, those with dehydrated skin will rejoice because your skin will feel plumped, nourished and super soft after using it. I'll be talking about it in more detail in an upcoming blog post with the rest of the Kinvara skincare products I've been testing out, but let me just say that on our recent trip to Manchester, this is the only skincare I brought. I mainly use two pumps at night and not only does it absorb quickly with no greasy feeling, but the next morning, my skin still feels just as soft and hydrated. I'm telling you, this hasn't won lots of awards for nothing and it is most definitely worth the hype. Yes, it smells like I'm rubbing citronella candles on my face when I'm applying it, but that goes away quickly and what I'm left with is skin that I want people to touch. I brought it to Mam's at Christmas and made her and Joanne use it because I want people to know about this and try it. No I'm not being sponsored or paid to say this, I was just sent the bottle to try and it's fast tracked it's way to the top of my skincare list. I sh*t you not. True lurve here at Lovely Girlie Bits! So yes, stay tuned for my blog post with lots more information on this and two other products I've been using and loving from Kinvara. This one is just the star of the trio! Those are the main products I've been loving since Christmas, but February has brought a whole new heap of things for me to try out and report back on! Have you tried any of the products I've mentioned here? I believe that limited edition products are created to torment us. Pure and simple. We are drawn in by the packaging, the exclusivity, the panic of trying to get the product before it disappears forever and ever Amen. But let me explain why I think products like these are the best and worst things ever to happen to a beauty junkie. There are three main scenarios that we have to deal with each and every time we buy something that's limited edition like the beauts in the photos below. You buy the product, use the product up and then have the ultimate regret that it's gone forever. You wonder if they'll ever bring it back in a future release. Or even better, that they make it permanent... It's a long shot... You had a good run with it and think about the happy times it made you look and feel very fantastic. 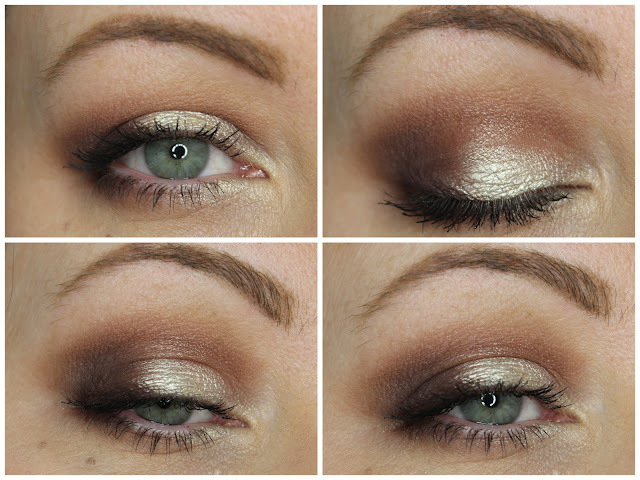 Makeup nostalgia mixed with makeup regret is always a killer combination. You are sad for a long time and are forced to buy more makeup to help yourself feel better. But there will always be the one that got away. Or the one you used up without thinking or making a life plan of action. You use the product for a good month, falling head over heels in love with it. You are deeply committed to this product, using it so often that you become one with the product. Then the panic sets in. What if you run out? What if you are without this limited edition product and then have the regret for the rest of your life? (Slightly overdramatic there, but shh, this is serious stuff) No, that has happened one too many times to you and you are wiser now. You know the score. So the most obvious course of action when you've been burned one too many time by a limited edition product is to stop using it. Save it for good use. Or not use it at all. Sure, you can't enjoy actually using the product on yourself, but that doesn't matter. It means you will never run out of it. You can unclench your buttocks safe in the knowledge that you can now enjoy the product forever by not actually using it. What an absolutely genius idea. You could've saved yourself a lot of hassle in the past with this. So what if it develops a film over the top after a while or go off and you can never use it again... Sigh. You did not think this through. You now have the product forever but cannot use it and so it sits there taunting you. You cannot throw it out as it's limited edition and apparently you're a collector. You stock pile the product. Eat twigs and dust for the rest of the month, you'll be grand. You feel settled in life that you have one or possibly two back ups to keep you going and you can be all smug knowing that you've learned from past mistakes in not buying multiples. But then... The excitement wears off as you make your way through the first product. Somehow, knowing you have more in the wings takes the excitement off using it. Limited edition means an element of "Ooh this is only out for a few weeks and will be gone forever and ever, rest in peace". By buying more, the excitement is gone. Or is that just me? Tell me about your experiences with limited edition products! Am I alone in my lunacy?! It should be noted that I'm now currently living this torture at the very moment with my Tarte blush palette from a couple of years ago, the MAC Wash & Dry Bronzer and the MAC Ellie Goulding collection. I am torn and don't know what to do! Please tell me I'm not alone here! Limited edition products - how do we feel about them? To the comments! Clarins BB Skin Detox Fluid review, before & after photos! Clarins BB Skin Detox Fluid, since arriving through my letterbox, no other base has touched my face. That doesn't happen that often lads. When I find a foundation I love, I get tunnel vision and now I have a bottle of Charlotte Tilbury Wonder that's gathering dust in my stash! Maybe it's because it's a new year and I want to appear all fresh faced, but I can't get enough of the Skin Detox Fluid and haven't had as many compliments on my makeup ever since starting to use it! While Craig Revel Horwood has his catchphrase of "Fab-U-lous" when he loves a performance on Strictly, I have my own one now when talking about this beaut! And it's in written form too! With bases, I want something that's going to give me a decent amount of coverage, that'll hide any redness around my nose, that doesn't feel heavy on the skin and that doesn't look cakey. The fact that this gives me the softest sheen to the skin without feeling wet is the icing on the cake. Nobody wants a wet looking face, especially an oily t-zoned bridie like me. Everyone wants cake though.... In the face, not on the face. The squeezy tube means it's perfectly travel friendly and the pump applicator means there's no product wasting. Clarins' original BB cream also comes in a red tube, so make sure you're getting the one you want. Clarins are touting this BB cream as half skincare, half makeup and I'd have to agree. I feel like this actually moisturises my skin and doesn't just sit on top of it hanging around. Acerola seed extract "contributes to good oxygenation of the skin exposed to harmful factors". Ah, that must be what the whole detox label is all about. But what does it look like on the visage I hear you ask! The first time I applied it, I used by Beauty Blender and felt that it sheered it out a bit too much for me. So since then, I've been using my Nima Brush Round Top Kabuki brush to buff it into my skin and the application is flawless. It looks like it's my skin! Because it is! Kinda... For me, my aim is to pretend like I've flawless skin, when I've anything but, hence the before and after photos. I'm using shade 00 Fair, which is the lightest of the four shades on offer, and I think they could've gone with an even lighter shade because I know there are lots of people out there who are paler than moi. But Fair suits me only grand. It also has a really light, delicate scent to it that I love and that only hangs around for a couple of minutes tops. The formula is easily buildable and on days where my cheeks and nose need a little extra somethin' somethin', I can apply a bit more and keep the pretence of flawless skin going. I always like to set my foundation with a powder and to see what I've been using, keep an eye out for my monthly favourites video. Those with dry skin won't need to powder, but oilier people might need to give a light dusting over the schnozz and any other oily bits. The combination I've been using means that I look the same at the end of the day as I did at the start! So the good skin fakery continues well after work is finished. Result! I was sent this bottle to try and at €34.50, which is decent for a foundation that performs really well on me, I will most definitely purchase a tube myself when I run out of this, or maybe before so I'm not without. I love the fact that it has SPF25 so as summer approaches, I'll be giving my face a little more protection than the usual SPF15 that comes with most bases. In a nutshell, I love this stuff. It's on counters now along with the rest of the spring collection from Clarins that I'll be talking about soon.